I’ve been reading some excellent books lately and I want to share them with you during my great books week. Christy Barritt’s sequel to Hazardous Duty, Suspicious Minds, is even better than the first. I’ve said before, I like quirky characters. And most of those quirky characters are detectives of some sort like Monk and Psych. The heroine in Suspicious Minds is a student of forensic science. To earn money she opens a crime scene cleaning business which I think is an extremely interesting job. One that I would not like to do. She is hurled into another investigation when she discovers a dead Elvis Impersonator (make that tribute artist) under a job site she was inspecting. I like to think of the book as a cross between CSI and Monk/Psych. 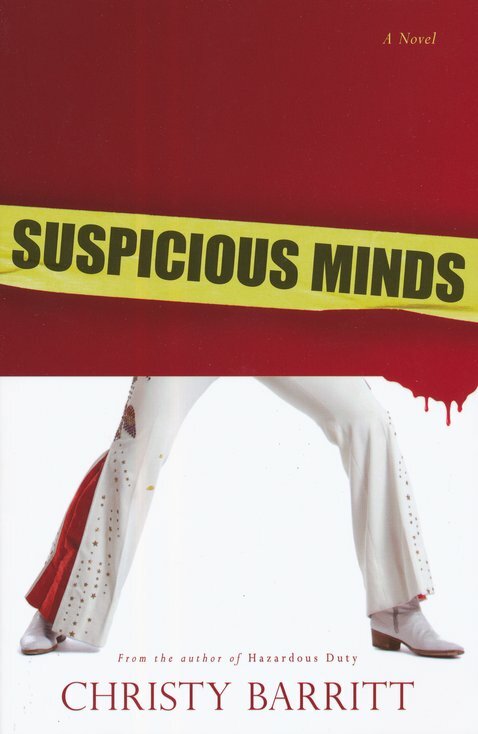 If you love those shows you’ll love Suspicious Minds. Christy Barritt writes with humor and wit and manages to keep me turning the pages. I can’t wait for the sequel. I’ve gotta know which guy the heroine ends up with. Great romantic conflict.